IEOM Industry Solutions sessions will showcase the industrial case studies and their impacts of the industrial solutions using IE / OM tools and techniques (lean, six sigma, FMEA, simulation, design of experiments, optimization, TOC, PLM, CAE, statistical analysis, etc). IEOM 2017 EU Conference will have a dedicated session for the Industry Solutions where distinguished practitioners provide their presentations including their experiences and journey to be successful. Thirty six featured speakers will be from various part of the world to address industrial challenges and opportunities for continuous improvement and sustainability. Each speaker needs to submit a title of the talk, abstract and a short bio as well as power point presentation prior to the conference. All will be included in the IEOM 2017 EU Conference proceeding. If you are interested to be an industry speaker, please contact info@ieomsociety.org for details. 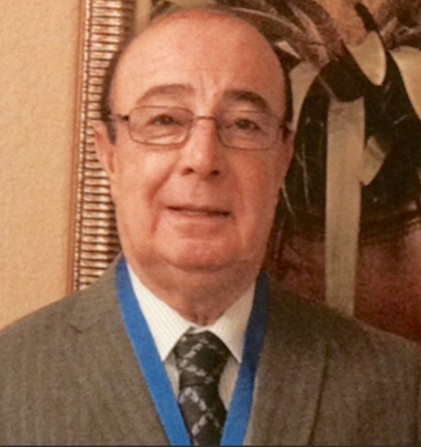 Mr. Hosseinkhanli is Director of Quality Assurance, Performance and Business Improvement Amor Health Services, Inc. in Brownsville Texas USA. He was General Manager of Almana Trading in Doha Qatar Middle East and responsible for all aspects in creation and implementing of successful growth of new market development and turn- key operation for various products. Mr. Hosseinkhanli was involved with financial negotiation with national and international banking, corporation, private sources and trading organization. Volvo International Development Corporation, Gothenburg Sweden, Marketing Director For The Middle Eastern Countries, UAE, Saudi Arabia, Bahrain, Turkey and Iran. Negotiated and established exclusive franchise agreement and turn- key operation. Did market analysis and feasibility studies for Volvo International in the Middle Eastern countries and increase annual sales in excess of 55%. Chief Industrial Engineer, United Carr, manufacturer of plastic knobs for Automotive Industries, Knoxville Tennessee USA. His education background is: Master of Business Administration from IMMEDE Management Institute in Lausanne Switzerland majoring in financing. Bachelor of Science in Industrial and System Engineering from University of Rhode Island in Kingston Rhode Island USA. Certified Business Analyst from International profit Association in Buffalo Grove IL USA. Certified Six Sigma Green and Black Belt from Institute of Industrial Engineers. Extra Curriculum Activity: Senior Member of Institute of Industrial Engineers, Senior Member of ASQ and Senior Member of Swedish Method and Time Measurement Language: Fluent in English, Swedish, German, Turkish, Farsi and some Spanish. Dr. Abdul Talib Bon is Professor of Technology Management in Department of Production and Operations Management, Faculty of Technology Management and Business at the Universiti Tun Hussein Onn Malaysia. He has a PhD in Computer Science, which he obtained from the Universite de La Rochelle, France in the year 2008. His doctoral thesis was on topic Process Quality Improvement on Beltline Moulding Manufacturing. He studied Business Administration major in Quality Management at the master’s level in the Universiti Kebangsaan Malaysia for which he was awarded the MBA in the year 1998. He’s bachelor degree and diploma in Mechanical Engineering which his obtained from the Universiti Teknologi Malaysia. He received his postgraduate certificate in Mechatronics and Robotics from Carlisle, United Kingdom in 1997. He is Manager of Centre for Technology (Furniture Innovation Technology) from 1 September 2016 and Head of Program Bachelor of Technology Management (Furniture Design and Manufacturing) with Honours from 2014 until now. Before this he was the Deputy Dean (Research and Development) at the Faculty of Technology Management and Business in the Universiti Tun Hussein Onn Malaysia from 2008 until December 2011. Dr. Abdul Talib Bon has had over 28 year experience of teaching in higher learning education. A major part of his teaching experience involves teaching mechanical engineering students in polytechnics. However, from the year 1999, he was given the opportunity to be jointed in the Institut Teknologi Tun Hussein Onn (ITTHO), Universiti Teknologi Malaysia as a lecturer in Mechanical Engineering Department. In this institute, he teaches engineering management and quality control at the under-graduate level. Dr. Abdul Talib Bon has multidisciplinary research interests that encompass industrial engineering, quality management and production and operation management. His completed ten research grant projects include applications of forecasting in industries. His current research project is looking into developing process quality improvement (PQI) in manufacturing industries. He has supervised more than 65 undergraduate and postgraduate research projects. He has served as a reviewer for a number of engineering management and computer science conferences and journals as part of his expertise sharing initiatives. He had published more than 150 International Proceedings and International Journals and 8 books. 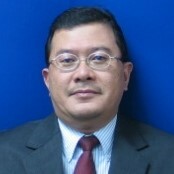 He is also President of Industrial Engineering and Operation Management Society (IEOMS, Malaysia), Council member of Management Science and Operation Research Society of Malaysia (MSORSM), member of International Association of Engineers (IAENG), member of Institute of Industrial Engineer (IIE), USA, member of International Institute of Forecasters (IIF), member of Technological Association of Malaysia (TAM) and associate member of Malaysian Institute of Management (AMIM).